Conveniently located just a few minutes from the train station, which provides easy access to the centre of Barcelona, the Sercotel Hotel Ciutat De Montcada is a 4-star hotel that offers a comfortable stay in one of Europe’s most popular cities. The rooms here all come with facilities such as a TV, minibar and air conditioning, to ensure a comfortable stay is had by all guests. There is a cocktail bar and restaurant on-site too, for when you want to wind down in the evenings without leaving the resort. 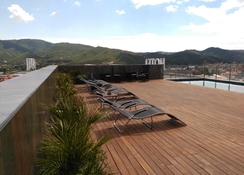 With accommodation to suit both couples and families, the Sercotel Hotel Ciutat De Montcada is also well-positioned to visit the main attractions in Barcelona. 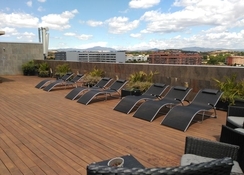 Whether you’re here for sightseeing, a quiet break away or to enjoy the lively nightlife, this property is suited to all travellers who want to experience Barcelona. Located around 9 miles from the city centre, the Sercotel Hotel Ciutat De Montcada is just 5-minutes’ walk from the nearest train station. This ensures good access to many of the main sights in the city which includes the Picasso Museum (7.7 miles), Tidibado Amusement Park (6 miles), Plaza Reial (8 miles) and the Sagrada Familia (6.4 miles). The El Prat International Airport is 14.7 miles from the property. The hotel has four different room types available. Double Rooms are perfect for couples while Triple Rooms can sleep two adults and one child, or three adults. The Junior Suites offer more space and also come with a Jacuzzi while the Executive Double Room is great for business travel and staying here also provides access to the gym and swimming pool. There is an on-site restaurant at the Sercotel Hotel Ciutat De Montcada which provides a buffet breakfast and a-la-carte dining. Guests can also avail of the cocktail bar too after dinner. In the local area you’ll find a variety of bars and restaurants to try, plus there’s the Punt de Montcada shopping centre which also houses a supermarket, for when you’re on-the-go. 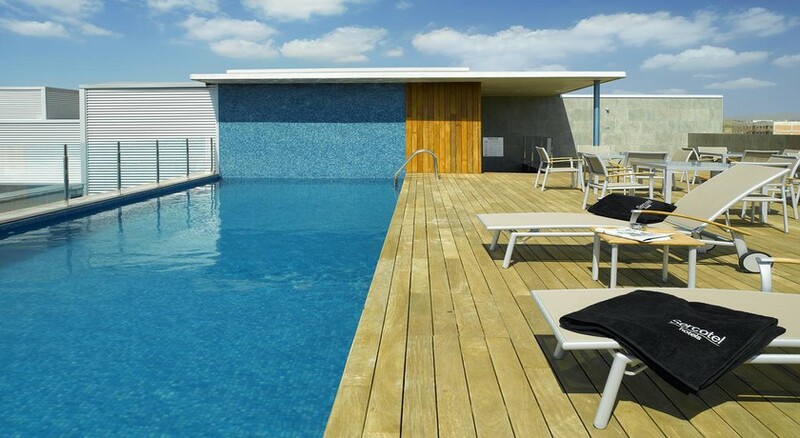 You can take a dip in the outdoor swimming pool or keep your fitness up in the on-site gym. Located just a few minutes from the train station you have easy access to everything that Barcelona has to offer, which includes the Camp Nou, home of Barcelona FC, which is 11 miles away from the property. Las Ramblas and the Old Town has a popular nightlife scene which is 9 miles from the hotel and the Gothic Quarter that also hosts a multitude a bars and night clubs can be reached by public transport or taxi as well.